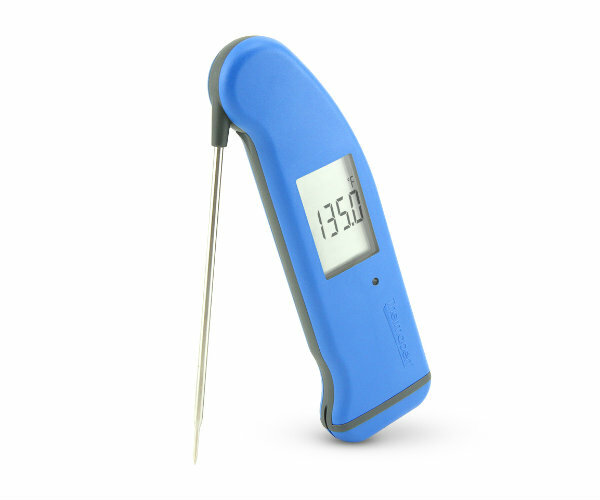 The Thermapen Mk4 reads temperature quickly and accurately, making it a favorite among restaurant chains and backyard pit masters alike. The fold-away probe and pocket design make it extremely convenient. This new generation Thermapen includes a splash-proof design with molded-in seals to protect the thermometer from wet hands and kitchen splashes. The patented auto-rotating display makes it easy to read at any angle.